Comfortable shoes for all day play. A playful court style. 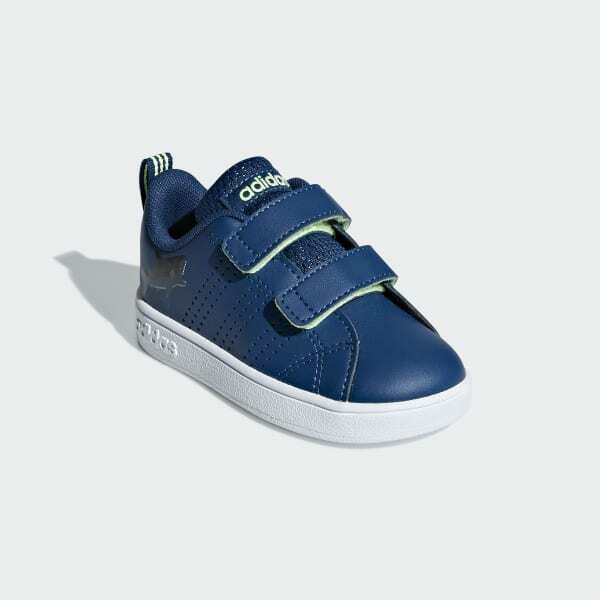 These infants' tennis-inspired shoes help provide steady footing to new explorers. The smooth leather-like upper boasts a pastel marine graphic and perforated 3-Stripes. Hook-and-loop closures make it easy to slip them on and off.